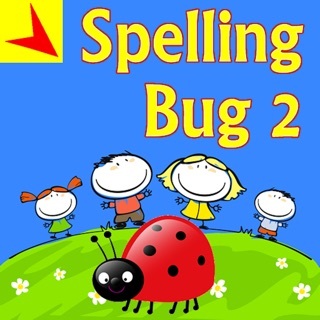 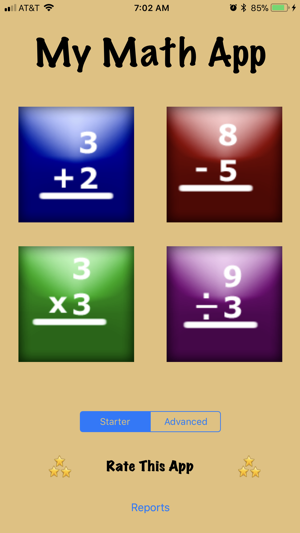 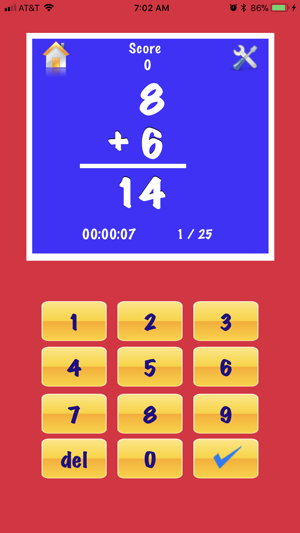 -Customize to focus mastering a particular fact like Addition by 2 or subtracting by 2. 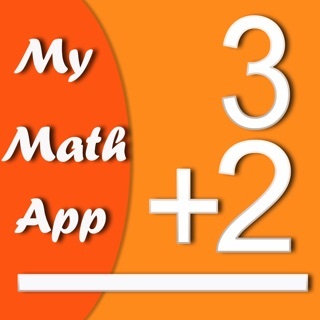 This app is amazing it gives you the practice of basic math facts like,multiplication,division,addition and subtraction! 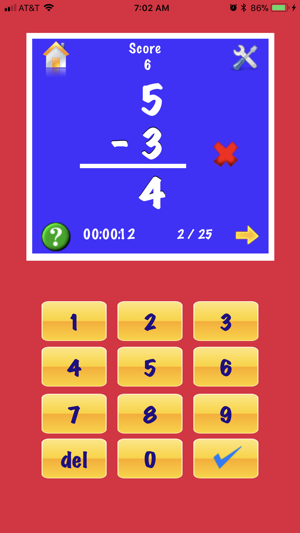 It times you so you can see your improvement every time, you can set a goal in your mind like a minute of how long it will take you and it makes learning fun! 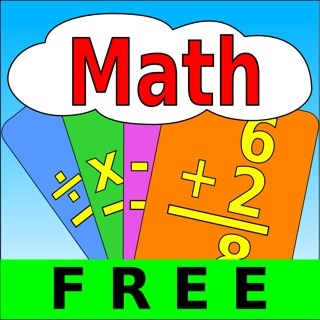 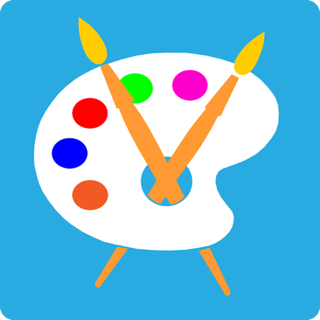 It's a great app too use and I have used it since 4th grade, I still use it and I'm going into 6th grade. 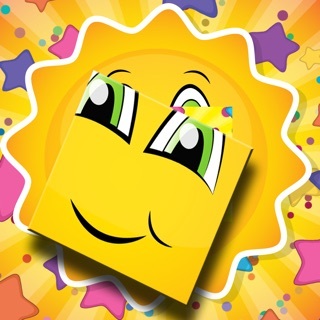 I don’t know why others have given this app a bad rating. 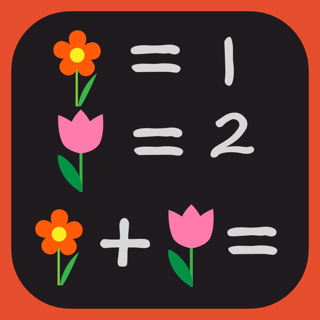 This app is perfect to help you improve memory or to warm up your brain in the morning or before an exam. 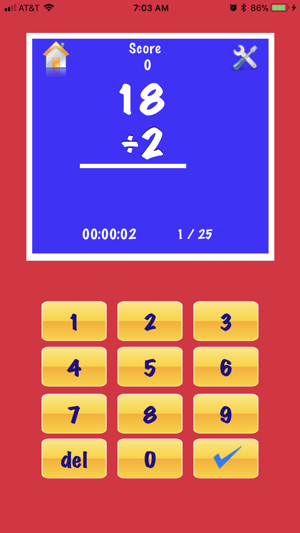 What I like about this app, is that it times you, and you can set goals on how fast you can answer 25 problems and see your improvements. 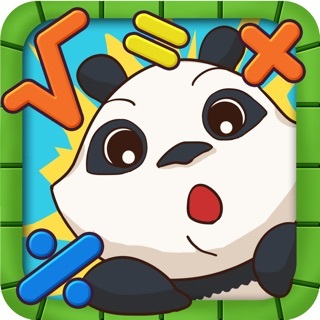 This app deserves a 5 star rating. 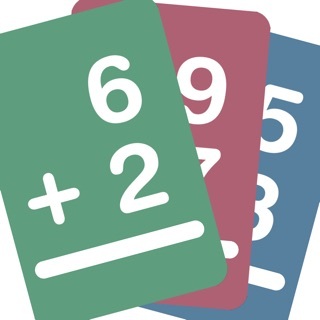 This game helped me a lot when I was in 3rd grade and 4th and it still does because it helps me practice my multiplication which I used to need help on,and now because of this game I can answer almost 10 questions in less than a minute!This game has helped me and I hope that it helps others too.